There are many ways to search keywords and a lot of tools to help you do so. Have you heard of the Jaaxy Keyword Tool? Well, it’s one of the greatest keyword research tools out there today and it’s also one of the simplest to use. But it’s not just your basic research tool, there is so much more to it that you might think. Today I’m going to walk you through the search functions of Jaaxy. This page contains affiliate links meaning I earn a commission if you use those links. I only recommend brands I use and trust. However, by signing up for any of them, there is no additional cost to you. It merely supports this website so I can keep offering helpful content to you all. OK, I’m going to try to go through this without being too confusing so please humour me – it might just be awkward to put it into words. First, there is the Starter Package – it’s free to join with no credit card details required. You get 30 free keyword searches and a lot more as outlined in the image below. You could say the starter package is a bit of a test drive prior to making any decisions. The Pro package is the most popular of the packages as it gives you everything from the Starter Package but you get unlimited searches and so much more which I will be going through later in the post. This is for people with large or multiple businesses. To be completely honest, the Pro option is perfect for Bloggers so I personally wouldn’t recommend spending your money on Enterprise. The best and cheapest way to use Jaaxy is to actually sign-up for a Wealthy Affiliate account first. If you’re about to start a blog then this is definitely the place for you. My review of Wealthy Affiliate is Here. Now the reason I mention Wealthy Affiliate is that this is the number one place for starting a website (free). If you sign up for the Premium Account at $49 per month, the Jaaxy prices drop significantly. Why do they drop? – because both systems work perfectly together and both were developed by the same people. One of the benefits of signing up for Wealthy Affiliate is that you will have access to Jaaxy Lite for free. It offers all the benefits of the Starter Package plus you get unlimited keyword searches and much more. See the table below. As I mentioned earlier, by joining Wealthy Affiliate you get price reductions on the Pro and Enterprise packages. Pro drops from $49 / month down to $19 / month. Phew!!! I hope that all made sense – drop me a message for clarification if it didn’t. Oh! and I forgot to mention – these prices are paid monthly. If you pay annually there are even greater savings. In today’s post, I will cover the first four which will be Keywords, Alphabet Soup, Saved Lists and Search History. As you can see from the image above I have circled the keywords search buttons. All you need to do is put in a keyword, or a few if you like and click Find Keywords. I just want to quickly talk about the header you will see when search results appear – it’s important to understand what all the numbers mean. These headers will start to make sense soon. For this example, I will put in the keyword ‘AFFORD’ which I show in a previous post on Top Niche Product Ideas. The image above shows the top 7 search results for the word AFFORD (this is only an example word. When searching for keywords try to make them relevant to your niche). You will see keywords like ‘affordable auto insurance‘. It has great traffic but the QSR is high at 174 (try to get under 50 to really nail a keyword). The KQI is Normal so we don’t want that and the SEO is 78 meaning it’s going to be fairly tough to rank on page 1. Same with ‘Affordable Website Design’. very high QSR, Poor KQI and low SEO. The main issue with these two is that both Insurance and Website Design are highly competitive Niches. However, you may have noticed, nestled in between all the poor results is ‘Affordable Trendy Plus Size Clothing‘. Great traffic, Super Low QSR (very little competition) and good SEO. You might have also noticed that there is a.com domain for this exact keyword – How cool is that. Now, this gets even better – If you are a member of Wealthy Affiliate you can click on the.com, .net or.org and it will take you to the domain purchase area. That’s right, you can buy the domain right there and then. For $13.99 I just purchased my Niche Domain name. Again, this is just an example of what you can do – the domain name should fit your niche. Now I have a whole list of keywords related to my original keyword term ‘Affordable Trendy Plus Size Clothing‘ all with low competition, very good traffic and high SEO. Not only have you found great keywords but also a potential Niche. Another great feature is saving keyword lists. For instance, I’m looking at my list for plus size clothing and there are keywords I want to save for a later date because I might want to write a post about them. When you tick your first box a ‘Save To List’ button appears. Once you have ticked everything you want to save, hit that button and the following pop-up will appear. You have the choice of New or Existing List. In this case, I am creating a new list, so I named it Trendy Plus Size and saved. If you ever have more search terms for trendy plus size clothing and you want to save you can simply do the same process but save to an existing list which will be your Trendy Plus Size – simple I hope? Let’s say you are struggling with your keyword searches and you just don’t know what to do next. With Alphabet Soup you can simply input any search term or phrase into the search bar and the system will throw out an alphabetized list of variants for your search term or phrase – Jaaxy quotes on average you will receive well over 100 results for your search. For this search I have put in the search term ‘SEO Tips‘ – I know SEO itself is very competitive so I’m hoping that Alphabet Soup is going to come up with some good ideas for me to check out. For the ease of the post, I have taken snippets from the search results from letter A, B and Q. All letters of the Alphabet had suggestions as do the numbers 1 to 9. As you can see, there are a few suggestions that are fairly good – and I will drill down into these shortly. As with most sections of Jaaxy, there is the ability to save to lists simply by ticking the boxes next to the keywords you want to save and following the same process I outlined earlier in the post. Top Tip – Try to only save phrases that make sense!! ‘Basic SEO Tips’ would be a good phrase to save. ‘SEO Tips Basic’ wouldn’t make sense so don’t save it. Within the search results, as well as the ability to save to a list, you can do an immediate search on a phrase. Right click on the Search On This link. Click on Open link in new Tab. Jaaxy will then perform a keyword search based on whichever phrase you asked it to. In this case I used Blog SEO Tips. In this case there seems to be a good result for WordPress Blog SEO Tips – that’s another one to save for your list. I hope this has managed to explain the power of the Alphabet Soup function on the Jaaxy Keyword Tool. I’ve spoken about them enough throughout the post so now it’s time to show you the Saved Lists function. I have pre-saved some lists for the purpose of this demo so you can see how the Saved Lists screen looks when you open it up. At a glance you can see how many Keywords are save per list and the amount of monthly traffic related to all the Keywords within the list. You will also note that you can download as a CSV or TXT file as well as view, Rename and Delete. As you can see, the saved list is just the same as the normal keyword search you would do, only this time it’s only the keywords that you saved. From here, you can download to CSV or TXT if you wish. Why not even click on one of the keywords in the list and Jaaxy will perform a new keyword search based on what you just clicked. This allows you do really deep dive into the keywords. It’s a very useful option to have and go back to when you are struggling to figure out what to write about. Jaaxy Search History is exactly how it sounds. It is a complete record of everything you have searched for on the platform. The great thing about this is that you can search your keyword history by filtering on a keyword. The other great option is that if you click on one of the searches, Jaaxy will then perform a new search on that keyword or phrase. That’s pretty much it with the saved searches – nothing difficult there at all. Well, that’s the first four parts of the Jaaxy Keyword Tool function covered in this post. You will have learnt and understood how to perform a Keyword Search, the Amazing Alphabet Soup function as well as Saved Lists and Search History. I hope you found this of some use and please comment below if you have any thoughts or questions. Watch out for the next post detailing all the other functions Jaaxy has to offer. Hi Mark, great in-depth review of a keyword research tool. I’ve been researching a couple myself since I got interested in setting up my own blog and trying to figure out how to attract traffic.I’ve heard experienced bloggers say that there are three investments worthwhile early in the blogging game: 1) a domain name 2) WordPress hosting and 3) a keyword research tool.I could write entire blogs on all three by now! 🙂 Suffice it to say that number 3) can get quite expensive quickly. And Jaaxy is not cheap either, but also not the most expensive. 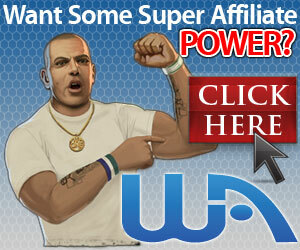 And powerful, as you show in this article!Your recommendation of Wealthy Affiliate I also support. There’s a lot of scammers out there, but these guys seem legit!Thanks for sharing and success with your online endeavors! Thank you for the comments. You are quite right in terms of the importance of a good keyword research tool. I had the free Lite version which I had through my Wealthy Affiliate subscription and it worked great. As I have started to find my posts ranking on page 1 Google etc. I decided to upgrade Jaaxy – made a big difference in terms of speed with keyword research – worth the money now I’m rolling. I am very much delighted in this post of yours I find it really helpful and highly educative. The detailed explanations best explain the amount of energy you have put into this.i have heard about jaaxy tool and like it more for it free starter feature.i think this will e the best keyword search for me. Hi Clement, thanks for your kind feedback. I am very happy that you found the post helpful. Thank you so much for this valuable information about Jaaxy. Most people don’t realize how important a great keyword tool is to their efforts to get ranked in the search engines. Jaaxy reveals not just the number of searches for your chosen keyword but also the amount of competition. So you can build a post or page around a keyword that you’ve got a good chance of ranking well for. But what I didn’t understand was that if you join Wealthy Affiliate (for free) and host your websites with them (for free) you also get access to Jaaxy (for free). How awesome is that? Hi Phil, thanks very much for your comments. I just saw your comment about Wealthy Affiliate (free) Websites (Free) and Jaaxy (30 searches Free) – when you look at it like that you start to understand just how awesome the whole thing is. Hi Mark, your blog about Jaaxy was very helpful. It was thorough and detailed about what Jaaxy is and how to use it. Very useful. I definitely have a better understanding of Jaaxy now. The price comparisons of the different levels showed this is very affordable tool. I also enjoyed the blog you have “SEO for beginners”. It was easy to read and apply. Good job. In your bio, you stated, “Don’t be afraid”. This is so true. The unknown frightens us all. With informative websites and blogs like yours, we have the tools of knowledge to fight the enemy of fear. Hi Johnny, thank you so much for your kind comments. You are quite right that the unknown frightens us. I’m sure we all felt this when starting out on our blogging journey. Sometimes you just have to go for it – what’s the worst that can happen? Also thanks for taking the time to read a few of my other posts, I really appreciate your input. There is nothing more important than finding good keywords so we can offer useful content on topics people are searching for. If no one is searching for a certain keyword we won’t get traffic or the opportunity for sales. Having a good keyword tool is one of the most useful assets for online business. Jaaxy provides so many great features at a great price that it is a smart choice for anyone starting a website. Whether you have on affiliate marketing site or a local business and you are trying to get local sales, you can use Jaaxy to find keywords so that visitors will find your site. Salim, thank you very much for your kind comments they are very much appreciated indeed. I’m happy that my post offers value as that is what I set out to do for anyone who is just started learning. It makes me very proud to know that I am helping others. I would like to offer you my comments on you blog post. First of all, Jaaxy is a great topic to blog about because when you first start using it, there are so many functions that you can easily get lost. Your explanations are clear and easy to understand. The screenshots are helpful and add to the visual aspect of your post. Although I use Jaaxy, you explained some features that I didn’t remember. Great refresher! The only thing I’m concerned with is that you put a lot of emphasis on Wealthy Affiliate at the beginning of your post. Someone interested in Jaaxy may not be interested in WA and making such a connexion may get a reader to stop reading. Your title is “What is the Jaaxy Keyword Tool” so if I click on your link, I want to learn more on the tool and not WA. You may want to flip this part at the end. You can start be explaining the amazing features and build your reader’s interest. Then, when you have proven that you know what you are talking about, go info cost infos and offer the WA alternative. I hope my comments have been useful to you. Keep it up, you’re doing great work. thank you for the feedback. You make a good point about Wealthy Affiliate. The tough bit was trying to explain the cost of Jaaxy and it’s difficult not to mention WA as it has an impact on price. However, what you say is quite right so I will review and see if I can add it later in the post instead.